For the American Council of Learned Societies' print materials, we were tasked with designing a publication system that could be applied to a large variety of material and formats. 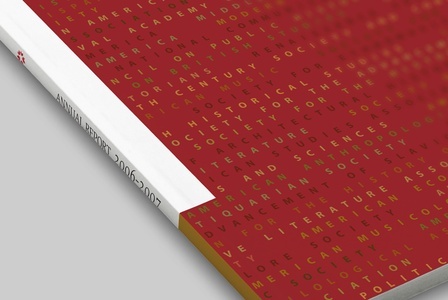 The 2005-2007 Annual Report, one of their primary publications, has to communicate the organization's academic goals in a clean, concise and appealing manner.The report cover lists all sixty-nine institutions in a linear, textured progression, illustrating the breadth of the scholarly community composed within the societies. 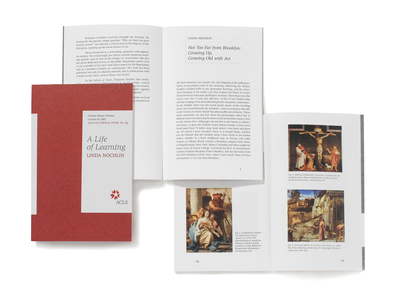 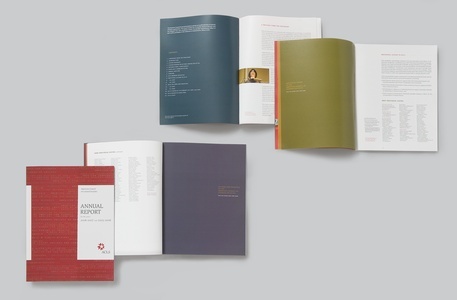 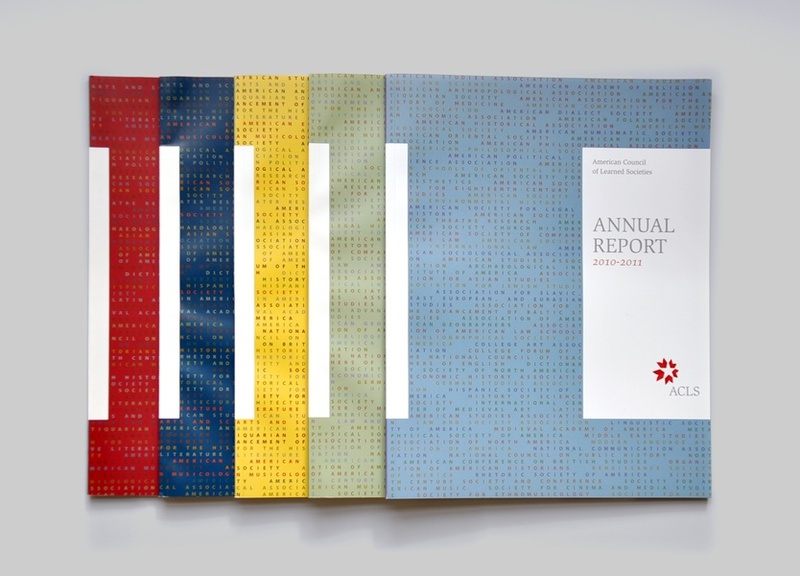 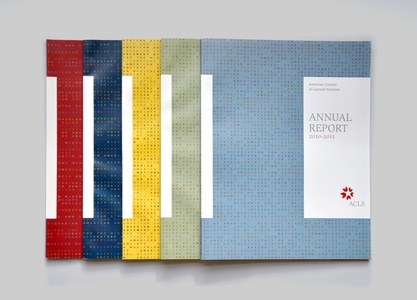 The Haskins Lecture Series, a yearly publication of a smaller format, uses a different texture but the same right-hand, white "label" system from the Annual Report, which visually connects it to other ACLS' publications. 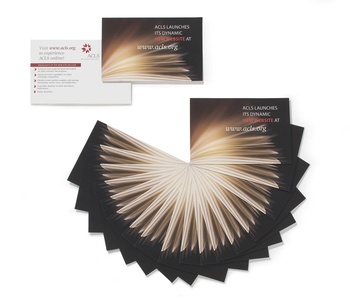 It also allows for an inviting and attractive flow of content into well-structured and sophisticated pages. Additionally, we designed a promotional postcard that advertises the ACLS website and its kinetic, functional and interactive features.